That’s Naught a Knoif. *Unsheathes Knife* That’s a Knoif. That’s how you spell Knife in Australian, btw. Rainbow Six: Siege is entering its fourth year of content. It is kicking off this year’s first season with two new operators. Like Overwatch, Rainbow Six: Siege has a wide variety of characters to play as from equally varying backgrounds. Siege launched with characters from Britain, the United States, France, Russia, and Germany. Over the past three years, Ubisoft has added operators from Canada (woo), Brazil, Japan, Spain, China, Poland, Korea, Italy, and Morocco. 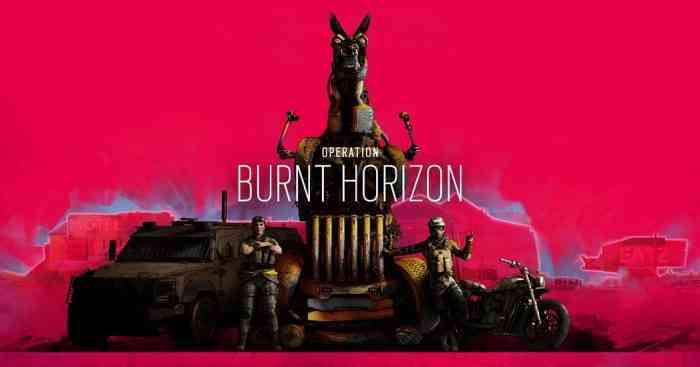 This year, we will see two more operators from daown unda (Australia) in Operation Burnt Horizon. That does not give too many details, luckily there are leaks. There are always leaks, for better or worse. Not to give too much away, but if the leak is correct, the attacker may be called Gridlock and the defender may be called Mozzie. Gridlock will have access to red spiderweb-like traps, and Mozzie will have be able to gain control of attackers’ drones. If you want more details, you can find them here. Ubisoft will official unveil Year 4 Season 1 on February 17th which will be livestreamed on Twitch. Are you excited for the upcoming season? Let us know in the comments.